The first part of what is now the McRaven House was built in 1797 by Andre Glass in a town called Walnut Hills which is now Vicksburg, MS. It originally served as a way station for pioneers en route to Nashville along the Natchez Trace. It consisted of only a kitchen and a single room above it. Sheriff Stephen Howard later bought the house in 1836 and added a dining room and another bedroom built above it. His wife, Mary Elizabeth, would be the first “victim” of the home, dying during childbirth in late August, 1836, in the middle bedroom. The house would change hands during 1849 when it was purchased by John H. Bobb. During the 1836 Siege of Vicksburg, the house would become a Confederate hospital and camp site, no doubt seeing many more lives extinguished in a short period of time. In May of 1864, after a skirmish with a Union sergeant and several of his men, Bobb was met at the gates of his home by 25 Union soldiers vowing revenge. He was taken to Stout’s Bayou, about 100 yards from the house, where he was fatally shot in the back and the face. After the loss of her husband, his widow, Selina Bobb, sold the house to a realtor in 1869. In 1882 William Murry and his wife Ellen Flynn purchased the home where they raised three sons and four daughters. William died in the home in 1911 and his wife a decade later in 1921. Their daughter Ida would die in the home in 1946 followed by their son in 1950. Their daughers Annie and Ella would continue to live in the home alone until Ella died in 1960 at the age of 81. Annie then sold the house before moving to a nursing home. At this point the house was in such disrepair the neighbors did not it even existed. The entire upper story was completely overgrown with vines and other vegetation. In 1960 the home was then sold to the Bradway family who embarked on restoring the home and opened it to the public for tours in 1961. In August of 2015 the house exchanged hands again and is currently closed for public tours. 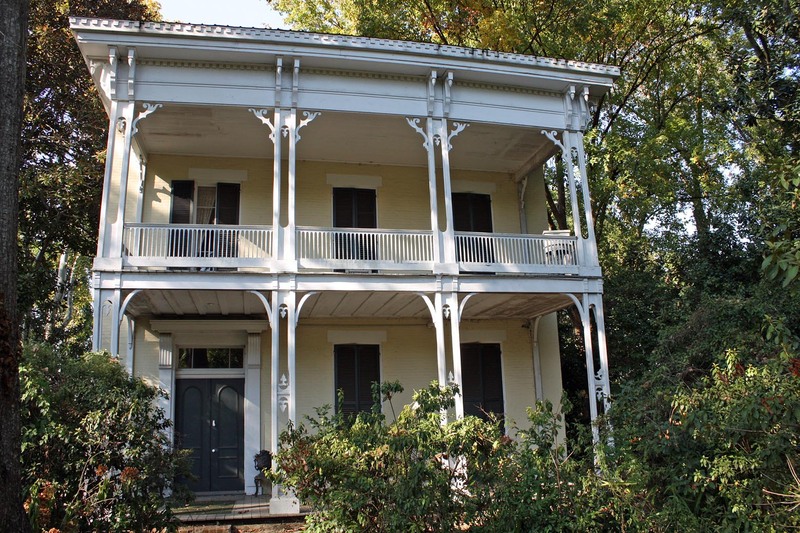 With so many deaths on the property, this Vicksburg home is considered the most haunted house in the state of Mississippi and the third most haunted in the entire country. The paranormal activity here has been documented by a variety of shows including A&E, 48 Hours, and The Travel Channel.